Today’s viewers expect to enjoy their entertainment choices on a variety of IP-enabled devices. Moving OTT and IPTV operations onto IP-centric solutions and platforms is both complex and fraught with the chance of error. Survival requires that facility managers and engineers at broadcasters learn to swim in the IP pool. Don’t be afraid to seek help. Consumers are increasingly seeking flexibility to feed their content viewing habits. No area shows this desire more than OTT. While linear TV still has a broad audience, statistics show a consistent and meaningful growth rate for OTT and IPTV content consumption. Now is the time to accept that solely clinging to linear TV distribution channels isn’t the right choice. Instead, while still making sure that subscribers get value from their core linear TV elements, operators must consider embracing OTT’s flexibility and potential to grow and better segment the market. To do this, providers must move their operations onto an IP-based delivery model of OTT unicast, IPTV multicast, or a combination of both. Admittedly, providers need to know the right questions to ask and be able to identify the best path based on their current infrastructure. IP may appear to be a simple technology, but it is also a complex ecosystem that is quite different from what most operators are accustomed to using. Moving to IP not only requires shifting to a new end-to-end infrastructure, but also integrating additional features such as cloud DVR, addressable advertising, adptive bit-rate just-in-time packaging, CDN, and device management. That said, even considering the hurdles, the decision to transition to IP delivery can deliver a wide range of benefits, including cost savings, increased screen reach and better customer data. IP delivery also means pay-TV companies don’t have to pay for advanced PVR receivers or home media gateways to deliver content to every TV or screen in the home. Moreover, thanks to the amount of data capture available via IP, providers can personalize their services and further enhance customer satisfaction. Improving data collection through IP connectivity offers pay-TV providers an advantage compared to OTT providers when it comes to advertising. Under current conditions, OTT content providers still can’t match the revenues generated by broadcast ads. However, as OTT demand increases, traditional pay-TV providers would be foolhardy not to recognize its potential. With better data, service providers can gain the upper hand, having data as a new currency in their negotiations with content owners. A provider’s first key decision is whether to use IP-only streaming devices and smart TVs or hybrid STBs. This choice is very business specific and depends on long-term objectives and the type of existing technology a provider is using before the changeover. For example, pay-TV operators who already have broadcast or IP multicast infrastructure in operation may make a different decision than those who do not. Generally speaking, the most cost-effective approach is to integrate new network video solutions into existing legacy platforms. This creates a hybrid environment in the short term, with the long term aim of smartly evolving to next generation network video solutions. 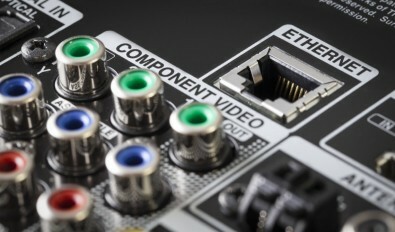 Viewers will increasingly turn to networked devices for their entertainment. Cable operators: It’s essential that operators work out how much QAM bandwidth they should free up for the DOCSIS technology. DOCSIS enables them to deliver IP content over high-speed broadband. Lower viewership channels require less bandwidth and will be able to move to IP at a faster rate. In contrast, high-viewership channels are likely to need to stay on the QAM portion of the network for longer. Cable operators also need to consider the extent to which their CMTS infrastructure will be able to meet IP video delivery demands. A final point to consider: QAM may still be a good solution for catch-up TV and VOD services on legacy STBs. Direct-to-home (DTH) operators: These providers must weigh up the trade-off between the fixed costs of the transponder capacity against the variable cost of OTT bandwidth that the typical household consumes from streaming. For high-viewership channels, DTH distribution will continue to be more efficient for the midterm future. But for low-viewership channels, IP unicast delivery is a viable alternative. As a result, many DTH operators are now contemplating a hybrid approach for the domestic market. This option has added value because it leaves open the opportunity to go for an all-IP offer for other regions, or to launch an OTT skinny bundle to reach new consumer segments. 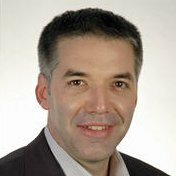 Telcos: This segment of the market has traditionally delivered their TV services over IP multicast. However, they will also have to orchestrate a shift to deliver on-demand services, using IP unicast. The primary issue here is that majority of telcos run legacy IPTV PVR STBs that typically possess limited IP unicast capabilities. This forces them to renew their consumer equipment or invest in new cloud DVR platforms and upgrade their CDN networks. 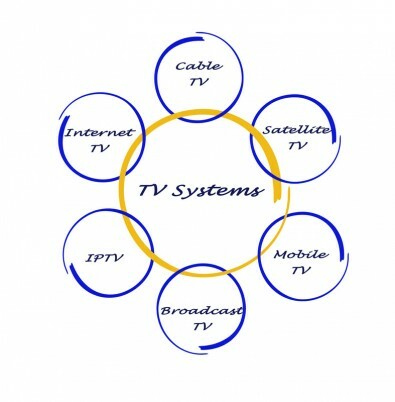 All types of TV distribution systems require continued updating. IP is the next plateau. Regardless of an operator’s current structure, once a provider identifies which IP architecture is viable, they should outline the consumer experience, security and flexibility benchmarks they want to meet before embarking on the transition to a more IP-centric platform. This is fundamental to ensure they maintain reliability, functionality and quality. As part of this plan, providers must consider a range of new customer support issues, such as managing bandwidth and network resources when many viewers are simultaneously tuned into one channel, or when delivering UHD/4K sports content to all their subscribers. Another big decision is how the cloud should fit into an operator’s plans. There is no doubt that utilizing the cloud – private or public – alongside an IP-based content delivery approach can put providers in a better position to efficiently scale their businesses, roll-out new features, and reduce the costs of maintaining their systems. 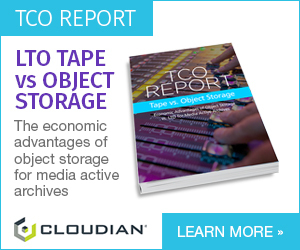 By moving broadcast and STB-level functions, like personal recordings, to the cloud, pay-TV providers can gain maximum agility and flexibility to adjust their business models, capitalize on new revenue opportunities, and add new services without having to invest heavily in complex customer-premises equipment. With that in mind, IP and cloud-based distribution should be seriously considered as they look likely to be the engine that increasingly powers the delivery of television services. IP based deliver has tremendous upside when configured and implemented correctly. Addressing the points discussed is the starting point to ensure operators make the shift without any interruptions to their service. To do so, many choose to work with third-party vendors that understand the industry key success factors and hybrid technologies.